Introduction: Immediately following the Civil War and adoption of the 13th Amendment, most states of the former Confederacy adopted Black Codes, laws modeled on former slave laws. These laws were intended to limit the new freedom of emancipated African Americans by restricting their movement and by forcing them into a labor economy based on low wages and debt. Vagrancy laws allowed blacks to be arrested for minor infractions. A system of penal labor known as convict leasing was established at this time. Black men convicted for vagrancy would be used as unpaid laborers, and thus effectively re-enslaved. Background: The term “Jim Crow” originally referred to a black character in an old song, and was the name of a popular dance in the 1820s. Around 1828, a minstrel show performer named Thomas “Daddy” Rice developed a routine in which he blacked his face, sang and danced in imitation of an old black man in ragged clothes. By the early 1830s, Rice’s character became tremendously popular, and eventually gave its name to a stereotypical negative view of African Americans as uneducated, shiftless, and dishonest. 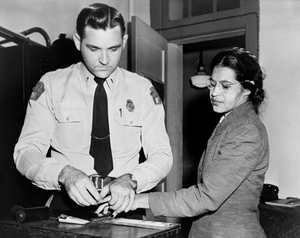 Rosa Parks is fingerprinted at a police station after her arrest in Montgomery, Alabama. This information should be reposted to ensure it is never lost. So much history can be forgotten if it isn’t kept where it can be seen. All this needs to be heard. I will share this link as far as my reach can go. Thank You. Why were the Jim Crow Laws legal? Please help! Jim Crow laws were legal because they were laws passed by state legislatures and communities that were empowered to make laws. They were legal because they were the law until the courts declared them unconstitutional. This made me cry. I see how black people still see whites as racists now. I didn’t realize this happened so recent in history. 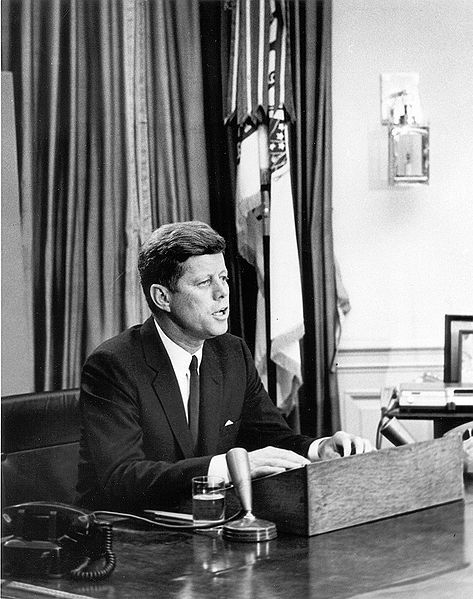 As mentioned, racial segregation was required in southern states in laws enacted thru 1890. The north did not have such laws, though trains from New York to the south had segregated seating even as they left New York. Most fine restaurant and hotels in the north would not serve blacks, even though it wasn’t required by law. And I don’t believe air travel was ever segregated, even purely within the south, as the laws were developed before air travel and not many blacks (or even whites) could afford air travel. Was this just in the south? How about the north, or the west? Jim Crow laws are a very sad part of American history. Good luck with your studies. Last night I watched the movie “Race” about Jesse Owens. 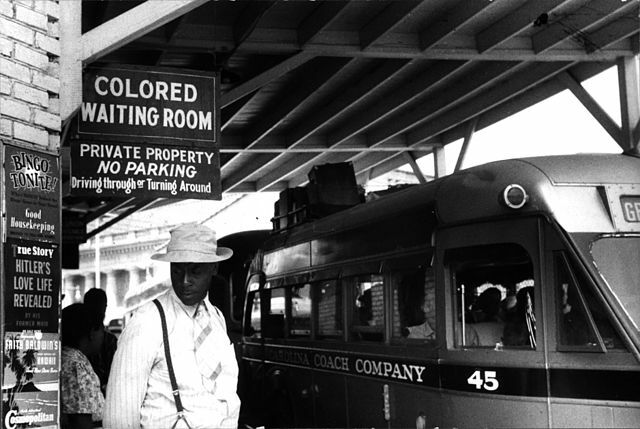 Early in the movie, there is a scene showing Owens boarding a bus in Cleveland, Ohio and sitting in the segregated section at the rear of the bus. I know that this was the practice of bus and railroad companies serving southern states, but did northern intercity carriers also segregate accommodations during the 1930s? I tried, unsuccessfully, researching this on the Internet. Thanks, in advance, for any information you can provide. I loved this source because it gave you specific laws. Maybe some more laws. The laws listed were great! Maybe more info on specific, straight foward laws. Can anyone tell me if Greyhound buses had toilets in the buses in 1960? If so, did they have one for “colored” and one for “white” ? If they only had one toilet in the bus, could only the whites use it? Thanks!!! My suggestion is that you contact Greyhound Bus Line directly.